@vzsiena19 how were you notified of your acceptance? keep thinking positively though! like i said, decisions are probably being made in a rolling process as they interview more people. i think they said expect to hear back in no more than 14 business days! good luck & best wishes everyone! And I was called by Prof. Monaco 12/2 and he told me that I was accepted, then I received a call earlier this week from Grad Admissions congratulating me and explaining more about the upcoming process. Good luck everyone, hope there's a positive outcome for you! Accepted! if anyone has any questions please feel free to message me! I received an email for an interview two days ago! Any other advice as far as their interview format goes? Is it an all day affair or simply a few hours? This is my first interview! has anyone else decided to officially go here? I put my deposit down in december. feel free to message me!! I had my interview on 1/20 and was just notified on my acceptance today! If anyone has any questions please don't hesitate to contact me! Good luck everyone! I interviewed this week and they called me the next day! So excited to be a part of the upcoming class!! Has anyone started a group or anything?? I also interviewed on 1/20 and was placed on the wait list :( I'm disappointed because I loved the facility and could picture myself there. Still staying hopeful though! Does anyone know how full the class is thus far? Congrats! If you don't mind me asking, how many hours of patient care did you have and what was it as? I was accepted a few months ago and I am very excited for those who were also accepted. I don't know if it has been done already, but I have started a Facebook group for the incoming class of 2019. "Monmouth University, Physician Assistant Class of 2019" if you have been accepted join the group so we can all answer or ask questions etc. Anyone know if the class is filled yet? I interviewed about 2 or 3 weeks ago (end of Feb) and was just accepted a little less than a week ago (March 4th). I'll be joining the Facebook group. What do those of you who are already in the program think about it? How do you think it compares with other more established programs? I am not in the program yet but I know people in it. They love it! I chose MU for a few reasons, but it literally had 1/3 the class size of another school I was accepted to (a positive for me) and I felt comfortable at the program. I have heard great things about the lecturers from the local PAs at my hospital. I know they have clinical rotations in the area including Meridan Health and Monmouth Med. PM me and I can ask a current student if you have any specific questions. Does anyone have any experience with being on the waitlist here? We are holding the first open house for our Physician Assistant Program on January 30 at 6:00 p.m at the College of Saint Elizabeth in Morristown NJ (www.cse.edu). For information about the program visit https://www.cse.edu/academics/aas/physician-assistant. Please see the attached file and register soon by emailing me at ltarke@cse.edu. Space is limited. What you will gain: CSE requirements, tour the PA Program, meet the faculty, and Q & A.
I didn't notice a forum for this program, so I thought I would try to start one. 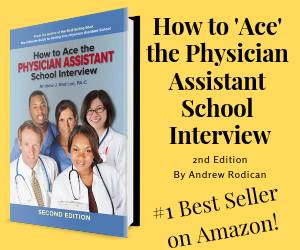 For those of you who have shadowed physician assistants already, how did you get the ball rolling? I'm currently typing up a letter of interest that I can personalize and leave when I approach places of interest. At the moment I'm considering going to Urgent Care or MedExpress facilities in hopes I can find some PAs there. I've also put out feelers to friends in the medical field in hopes they can point me in the correct direction. I've already contacted universities in New Jersey with PA Programs to find out if they have a program for alumni who are interested in having someone shadow and was told no, the information is not available to non students. This is understandable, but I am looking to change careers and believe it is vital for me to shadow now so I can figure out if I really want to go down that path. Any help, questions, or comments are welcomed. Looking in central/southern New Jersey as well as the Philadelphia, Pa area. Yes, I am on pashadowonline.com and every PA is at least an hour and a half-two hours away from where I live and they are not available on the weekends. My current job will only allow for nighttime and/or weekend shadowing. Wondering if anyone else has received an invite for an interview for the class starting in June 2015? I received an invite today to interview on October 31st.